Where to go for the best of one of the world's 10 Exciting Emerging Cuisines. 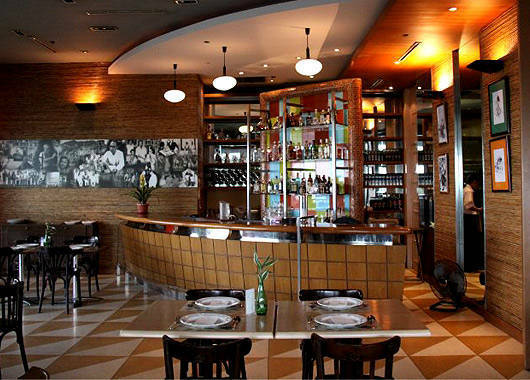 (SPOT.ph) In September, Zagat listed Filipino as one of the 10 Exciting Emerging Cuisines in the United States. But what is Filipino food exactly? Bold flavors, rice and sauces, family style? Filipino cuisine, as we understand it and as Anthony Bourdain put it, has always been fusion: with influences from China, Spain, Melaka, and even France. Roasting pigs has been a symbol of victory in Greece since the time of Odysseus. Cochinillo-complete with the plate presentation-is traditional fare in Madrid. The chocolatey champorado was patterned after a Mexican drink during the Galleon Trade. The first official Filipino foodie, the late Doreen Fernandez, describes authentic Filipino food as the adaptation of various flavors merged with our culture. Like the way pancit, which originated from Hokkien China, has become an identifier for local regions. The way adobo is popular because its easy technique and long shelf life affords Filipinos more time to toil in the field. The way good Filipino food always comes with a healthy dose of nostalgia. There are dishes like adobo and kilawin that have been here since before the colonial period, but these 10 restaurants serve more than vinegar-infused fare. 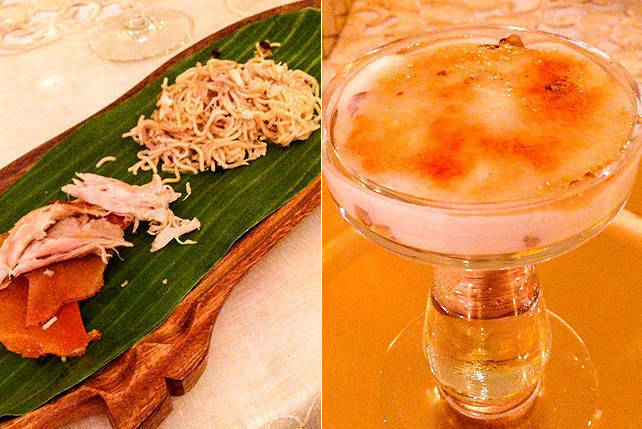 They’ve successfully managed to collate the Filipino ideal of sentimentality and good grub. When a cuisine banks on heritage and homestyle flavors, it doesn’t leave much room for playing around. Innovation, after all, opposes tradition, and no cuisine emphasizes the latter more than Filipino fare. But Chef Vicky Pacheco of Sentro 1771 knows how to toe the line, keeping the vibrant profile that Filipinos love while adding a few embellishments here and there. 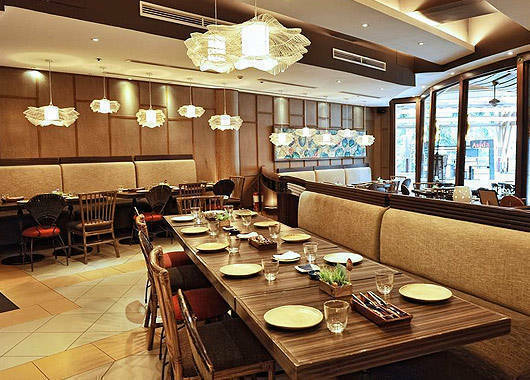 Using Swiss and French culinary techniques and an elegant setting to elevate homey dishes like kare-kare and kilawin, Sentro 1771 has come up with Lamb Caldereta and their legendary Corned Beef Sinigang, which has its own page on the menu. 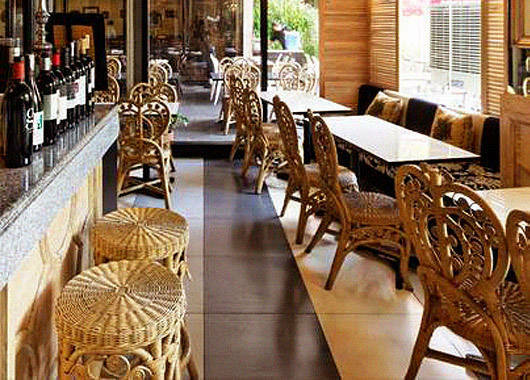 The compromise earns them their tagline, "first in modern Filipino cuisine." Cafe Juanita is in a category of its own. It’s not outright Filipino: you won’t find sculptures of carabaos, anahaw-shaped fans, or mementos of Jose Rizal (who, if you base it on most Filipino restaurants, is turning out to be the quintessential Pinoy inspiration) here, but it subtly highlights a certain Filipino aesthetic and personality: the "patong-patong" mishmash decor, the sharp but dim lighting, the small entrance that hides the "grandeur" of the interiors. It’s complicated but comprehensible, busy but still cozy. Like a Filipino making extra-special provisions for a guest despite his cramped, humble home. A doubly Filipino dish is the Dinuguan Chicharon which gives you a taste of the exotic and sinful qualities of local fare. Chef Kalel Chan of the Raintree Group jazzes up Filipino cuisine without complicating the simple flavors that define it. With mouthwatering presentations-the bulalo features juicy bone marrow the length of someone’s forearm and the tanigue kinilaw is served on a grill over a hollow block fire pit-Kabila is bound to attract attention, but it’s not just tongue-in-cheek interpretations and fuss-free flavors that set them apart. Chan and Raintree creative director Martin Wisniewski toured all over the Philippines to put some of the spotlight on less popular delicacies like a coconut-flavored bagoong from Zamboanga. Chef Sandy Daza’s brand isn’t limited to Filipino food per se, but he captures the Filipino ideal of merging experiences with good chow. He captions each item on the menu with stories that went behind their conception. For example, the Boneless Crispy Chicken is apparently one of the first dishes he learned to make. 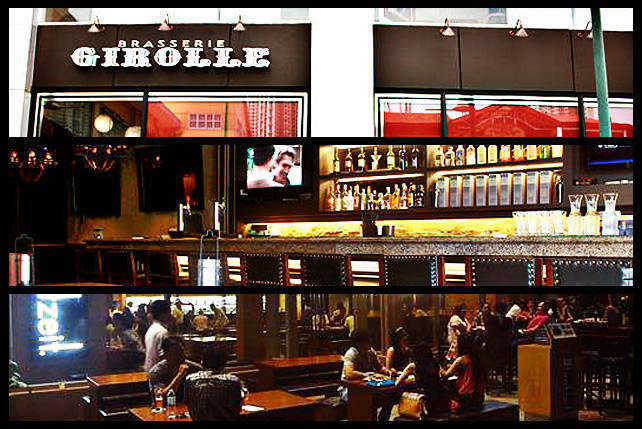 That’s what Chef Sandy does-he takes you on a gastro-narrative journey. There’s nothing on the menu jumps out and makes you ask, "What on earth is this?" It’s all simple, straightforward comfort food. The servings are a tad small, especially once you’ve taken a big bite of the four-piece lechon kawali that just explodes in flavor, but we can’t complain. We’d take big flavors any day. 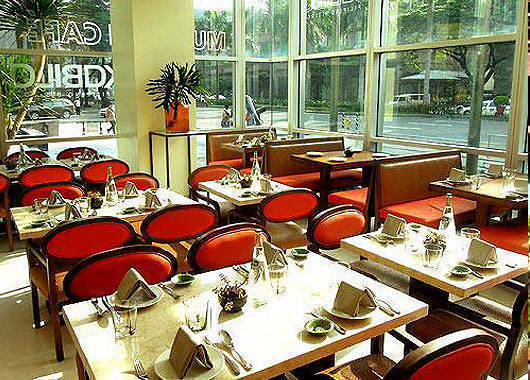 Whichever branch of Romulo Cafe you enter is like a walk through memory lane-a "history lesson," according to part-owner Sandie Squillantini, the granddaughter of former UN President Carlos P. Romulo. 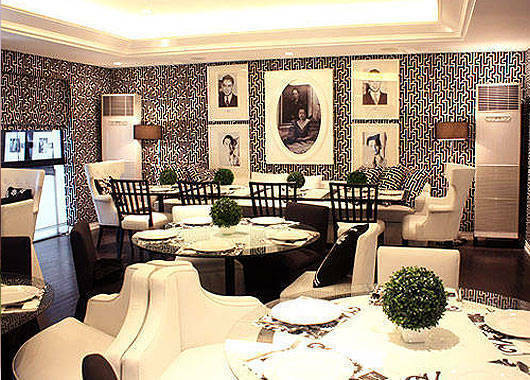 The intricate decor designed by the Almario sisters serves as a beautiful backdrop against photos of the former statesman and his family. 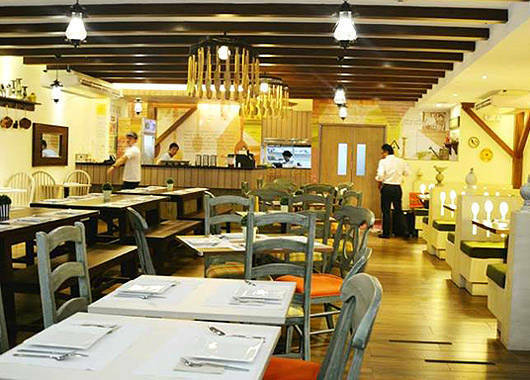 While the flagship Quezon City branch is dedicated to the late diplomat, the second restaurant along Jupiter sheds a little more light on Virginia Llamas Romulo, the person responsible for the heirloom recipes that made Romulo popular among foodies and families. Romulo’s menu features hearty Filipino dishes that inject a type of creativity only allowed in someone’s personal kitchen. Their garlicky Chicken Relleno is gaining a reputation that might supersede the restaurant’s namesake. 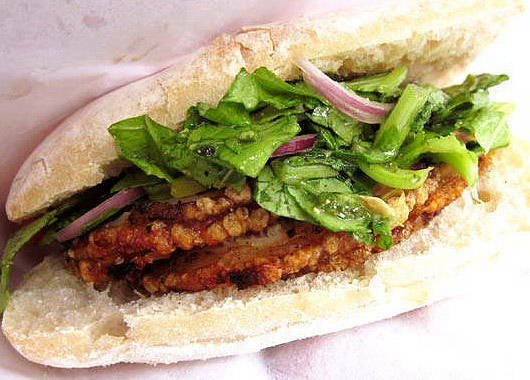 It’s modern local cuisine that, at face value, looks a little more fusion than Filipino. But for their second restaurant, Sen. Kiko Pangilinan and company knew well enough not to tamper with tried and tested culinary flavors. Instead, they channeled the innovation into clever presentations and showmanship. Salads are served on large spoons, shrimps are cooked on hot stones right in front of you, ostrich is utilized for the salpicao. 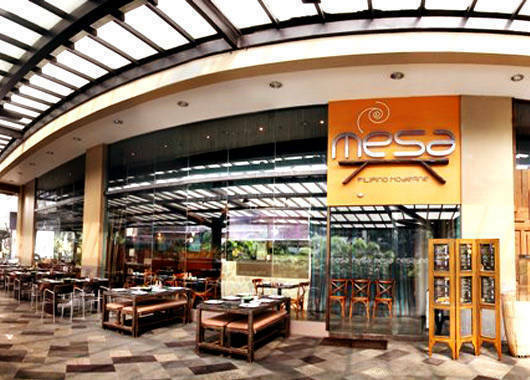 Mesa typifies itself as a high-end Filipino restaurant, which is ironic for a cuisine that prides itself on being homestyle, but it’s worth a splurge for balikbayan visitors or for special family occasions. The fanfare is over at Chef Florabel Co Yatco’s latest endeavor, Corazon, which showcases Filipino-Hispano cuisine, but this celebrated chef is one of the bigwigs when it comes to Philippine colonial fare. Chef Yatco describes her cuisine as "turn of the century," combining Spanish-inspired Filipino classics with a modern take. Think heirloom recipes with layered flavors that cater to the more sophisticated palates of today. 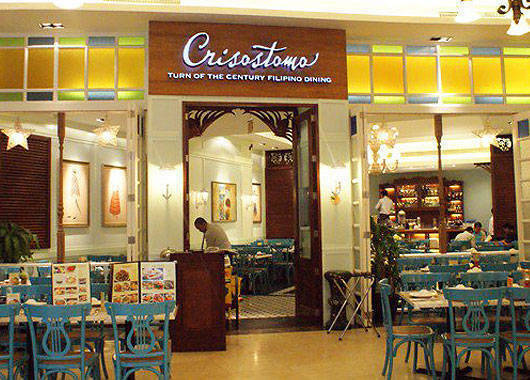 Taking to heart the inspiration from Jose Rizal’s novels, Crisostomo integrates popular characters and elements into the names of their dishes: there’s the Kare-kare ng Kura, Legazpi (tempura prawns with taro laing and aligue), Victorina’s Secret (fresh oysters with vinegar and chili), Don Rafael and Don Maximo (spicy and non-spicy versions of crispy pata), Sorbetero sa San Diego, and Crisostomo Bottled Water. Crisostomo also has a sister restaurant, Elias in Bonifacio Global City, which features the same menu, but with additional options. Three letters that have become synonymous with Filipino cuisine, Abe carries with it the nostalgia and flavors of every good Filipino meal. LJC Restaurants owner Larry Cruz dedicated this famous eatery to his father, the late artist-wrier E. Aguilar "Abe" Cruz. 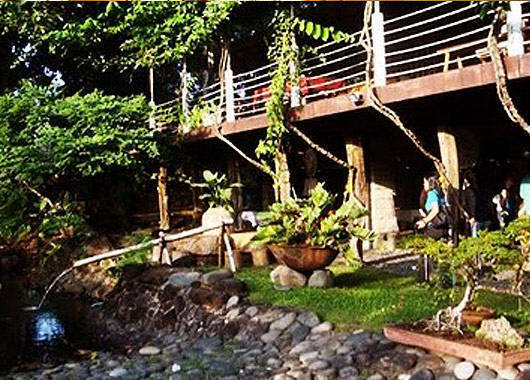 The family’s strong roots in Pampanga are reflected in the menu as well as their penchant for travel and exploration. Though creative with their flavor combinations, Abe doesn’t play fancy with their presentation, making their dishes look mouthwatering in the way only Filipino food can. The prices are reasonable (around P300 per head), which further embodies the Filipino ideal of affordable quality. Of the many bestsellers, the Mutton Adobo with Popped Garlic, Binukadkad na Crispy Pla Pla, and the Chicken Supreme should not be missed. LJC is also the group responsible for Lorenzo’s Way and Fely J’s. 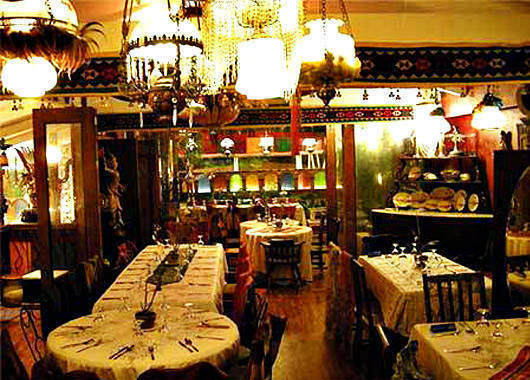 Most people shun this as a Spanish restaurant (it does exhibit that "Ole!" 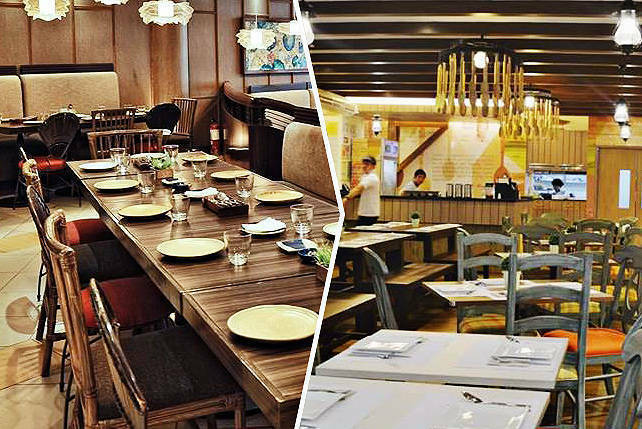 flair from the outside), but we love how Pia Y Damaso (inspired by Padre Damaso and his unwilling baby momma, Pia Alba, of Rizal’s Noli Me Tangere) embraces the Castilian flavors that inspired the Filipino cuisine we know today. The restaurant describes their edge as being "subversive," which we’ve come to understand as freethinking interpretations of old favorites. Adobo comes in crispy chicken skin and tails, pandesal is served as acuapao, and paella negra is really black Ifugao rice (no messy squid ink) that looks more like risotto above anything else. There is no Bale Dutung in Manila, unfortunately. Claude and Mary Ann Tayag’s brand of delicious Capampangan hospitality is limited to, well, Pampanga, but that hasn’t stopped Manila residents from sampling their gastronomy-which is pure unadulterated regional cuisine imaginatively served like artwork on a plate. In 2008, ace chef and No Reservations host Anthony Bourdain dropped by and was, despite everything he’s sampled around the world, fascinated by the Filipino concept of "malinamnam." Bourdain ate every morsel on his plate, not scripted for the camera’s sake, but with tremendous gusto. After that, the reservations-only restaurant developed a set list specifically based on Bourdain’s visit on top of their already popular Lechon and Kapampangan menus. With its nondescript facade, exquisite woodwork, restored furnishings, and antiques, it doesn’t look like your typical restaurant: Bale Dutung is, first and foremost, the Tayags’ home and you’re lucky enough to be welcomed in. Bale Dutung has a weekly booth in Mercato Centrale, giving diners a teaser of what they can look forward to should they travel all the way to Pampanga.